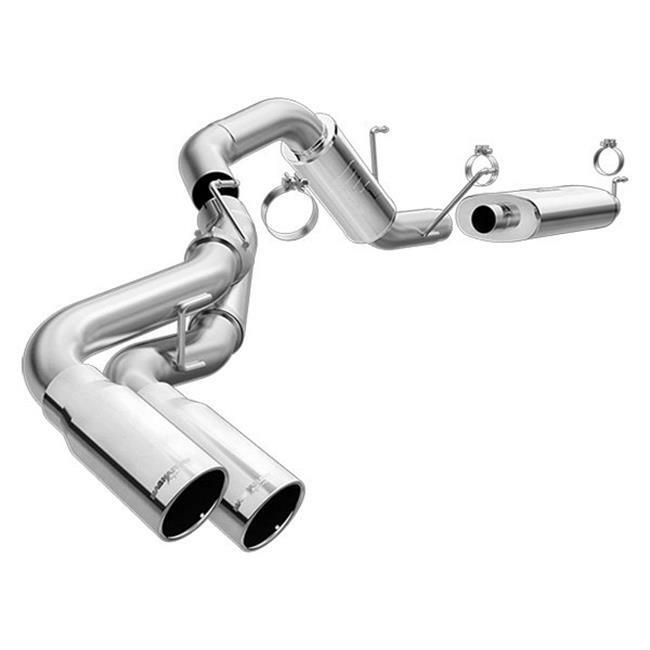 These premium line exhaust systems include mandrel-bent stainless steel tubing, polished 100% stainless steel mufflers, band clamps, and tips. Magnaflow systems give more horsepower and torque than factory exhaust systems by providing better exhaust scavenging and gas flow. They also provide the characteristic Magnaflow looks and sound.